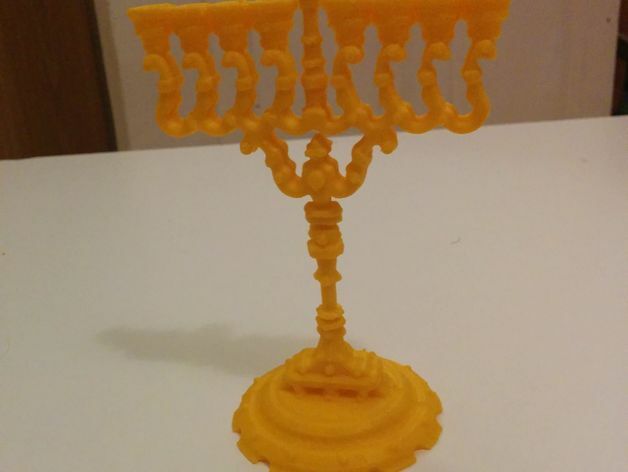 After I looked for a menorah model and I did not find a design I liked. I decided to design one myself. To avoid support problems, I recommend printing the model in two flat halves.